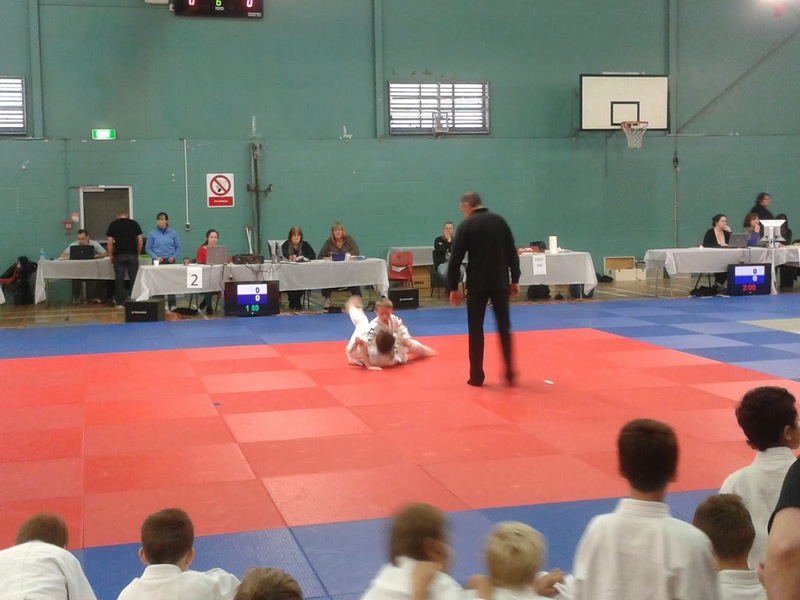 Big Judo's first ever competition team fought in the Howick Fun Day Judo contest. Our kids did very well. We entered seven kids but a pre-tournament concussion and stomach bugs reduced our numbers on the day to four fighters. But even with only four kids competing we picked up three medals which is fantastic for a first tournament. We also had an awesome turnout from parents and supporters and then finished the day with a BBQ. It was a fantastic day although I have to say that I think coaching is more stressful than competing! Here are the first installment of photos as get more we will put them up so you can see some of the team in action. Ben and Jordan and the team. The hall at the start of the day. Samuel from Big Judo holding an opponent down. Another good video we found on You Tube. Not very politically correct!